Today I have spent for too much money on beauty products!! I went shopping in Reading and came home with lots of lovely things, and even better when I got home the postman had bought me lots of treats too, but I can't do everything on one post it would take me forever and it would be pictur-ific! So here is what I treated myself to from LUSH! 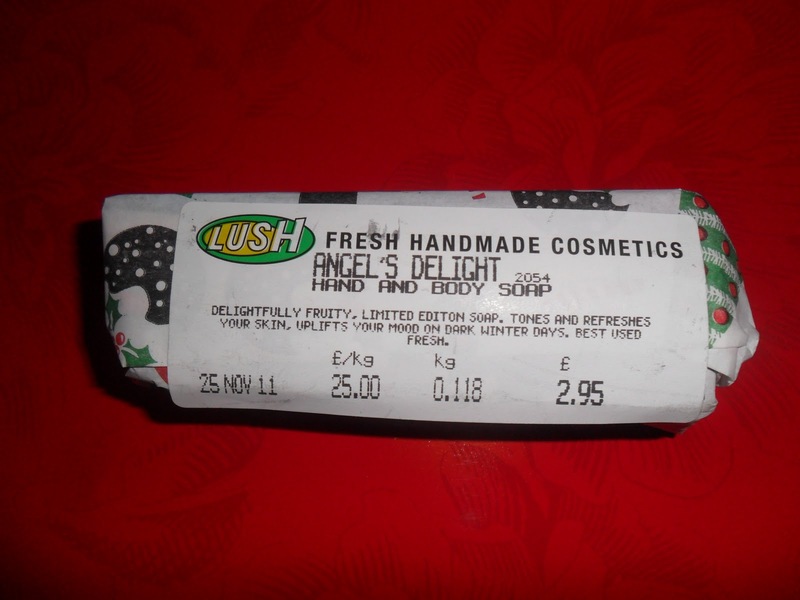 Angels Delight Soap - 100g bar £2.95. 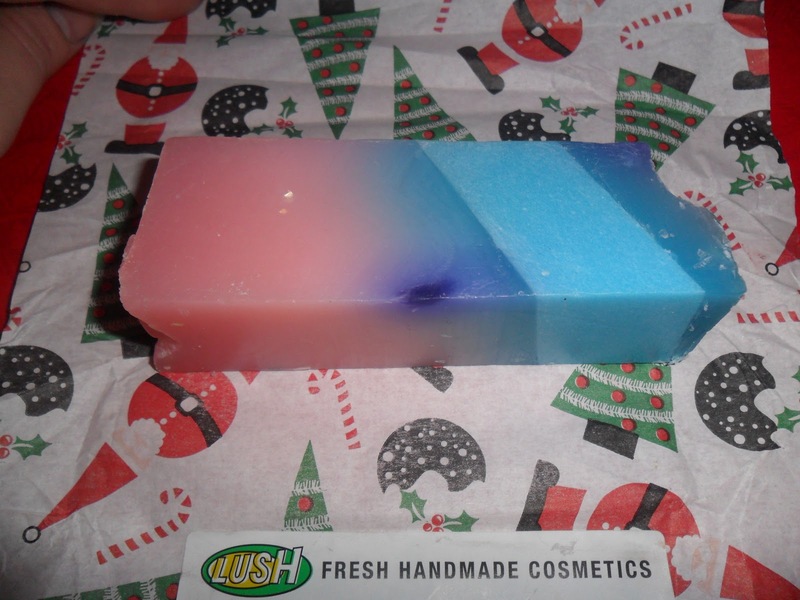 This smells just so so yummy, imagine you have a bag of Jelly Babies, open it up and smell the bag, well this is EXACTLY what this soap smells like! I cannot wait to have a bath this evening and try it out, I love the colour of it too!! Dragons Egg Ballistic - £2.99. I have seen this bath bomb on a few blogs and it looks amazing, full of glitter and wonderful things. I am going to save this for when I have a night out so I can be all sparkly, I will post pics of what it's like when I use it. 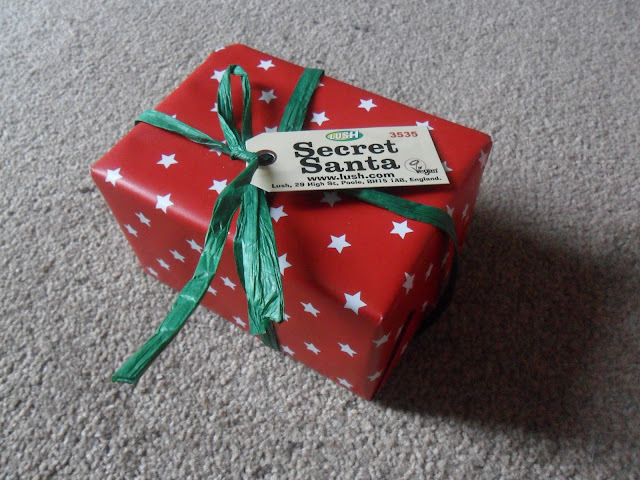 Secret Santa Box - £5.50. 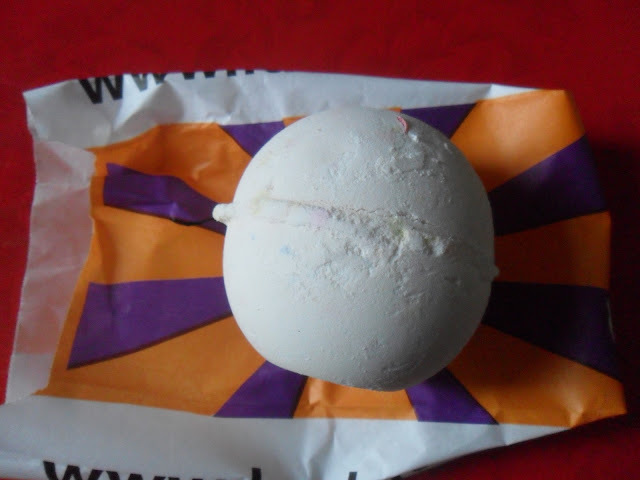 I haven't opened it yet but it has inside a 60g star Snowcake soap and a Li'l Lush Pud Bath Ballistic. Charity Pot Hand & Body Lotion - £1.00!!! All proceeds go to charity (minus the VAT). 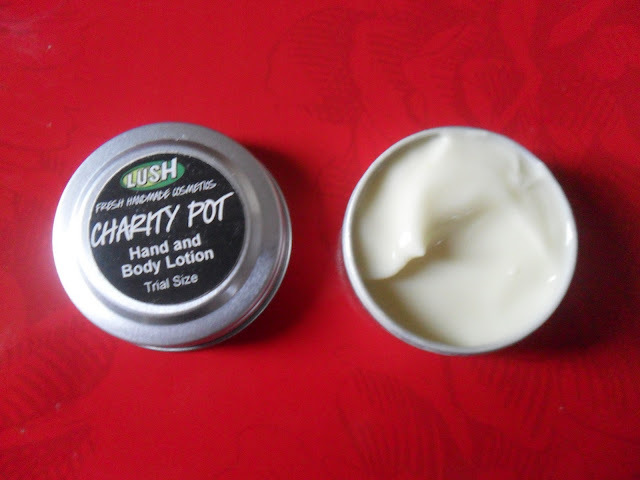 I think this is great, a little tin to pop in your handbag, really thick and creamy moisturiser. 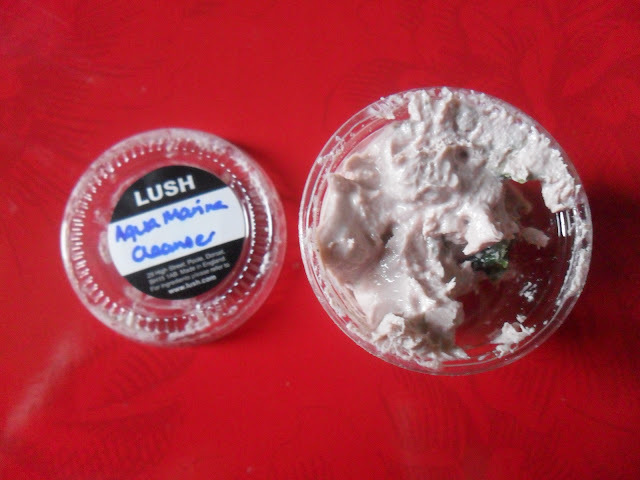 They also gave me a sample of Aqua Marine Cleanser, as I was saying in a previous post 'Holy Grail Products' I have never found a good cleanser, I have tried LUSH Herbalism and didn't think much of it to be honest, it was slightly waxy when I was using it and the smell was well.....yuk! This looks alot creamier so maybe this might be better? All of this came to £12.44!! I think this is great value for money!! I think I am addicted to LUSH!! 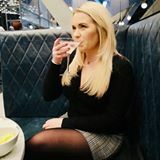 Have you bought any good buys from LUSH recently? I've not bought any goodies from Lush recently because I don't know where the nearest one to me is! I really love the shop though, and going in and smelling allthe lovely products. The dragon egg ballistic looks interesting, I love glittery things :)! Good luck with moving into your new house in the new year. I really want to taste some products by lush ! all people tell me good things about them ! LUSH Secret Santa Box & My New Makeup Bag! Pudsey Bear Is A Trend Setter - NOTD! Benefit Smokin' Eyes Set - Worth The Money?